Induction technology is quickly becoming a trusted and loved cooking surface, giving gas and electric stovetops a run for their money. 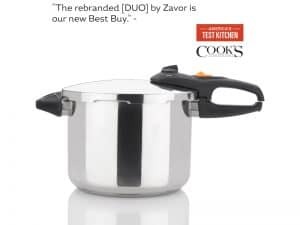 While some might not be ready for a full stove overhaul, there are plenty of ways to experience induction without the full commitment – introducing the Zavor Induction PRO Cooktop. Just like most portable induction cooktops, the PRO uses 90% of energy produced while providing precise and instant heat. 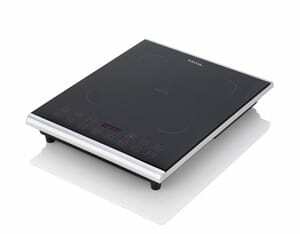 It also cooks up to 50% faster than gas and electric cooktops, saving you energy, time and money. Considered one of the most eco-friendly products for its efficiency and safety, induction cooking is a convenient cooking solution without the emissions of flames, smoke or gas. 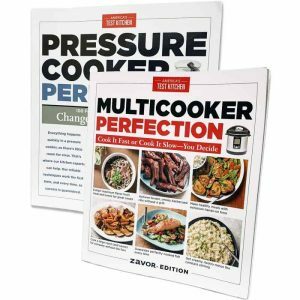 The Induction PRO has 8 user-friendly quick launch buttons including Warm, Simmer, Boil, Rapid Boil, Sauté, Brown, Sear and Stir-Fry to provide you with a specific cooking temperature. Cooks up to 50% faster than gas and electric cooktops, saving you energy, time and money . With a touch of a button, users can easily view the current cooktop temperature on the Digital Display, which can be adjusted by 10 degree increments. These temperatures range from 140°-465°F. The display also shows the built-in timer (0-180 minutes), which can be adjusted in one minute increments using the “+/-“buttons. 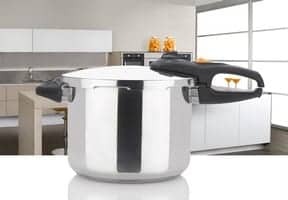 With a versatile and sleek design, the Induction PRO also features a Child Safety Lock Button, which prohibits the controls from being adjusted, helping users avoid accidental changes while cooking. The cool-to-the-touch glass surface will help eliminate the hassles of cleaning because spills will not stick or burn onto the surface. The PRO will not generate heat and will shut off automatically if no induction compatible cookware is detected. 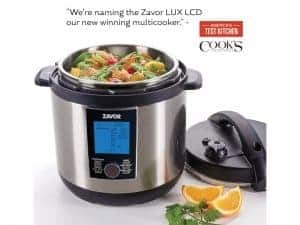 Compatible cookware for this unit includes enamel, stainless steel with a ferromagnetic bottom or cast iron along with Zavor’s array of induction ready pressure cookers. The Induction PRO is the ideal addition to your kitchen, camper, dorm or studio apartment and is a great extra cooking zone or food warmer.